One day life can seem so routine, and then you look back on particular moments and specific days, and see that a decision you made changed the course of your life. Was it wise to quit my job? I'm not sure yet. But I do know I wasn't fufilled in how I was spending most of my days, and making a decision to change that, be it risky, can't possibly be a bad one. I don't always follow rules, but I am cautious, and attempting a more entrepenurial career is not something I imagined I would do. I admire people who takes chances, and I can dream about what I'd 'rather be doing', but some personalities are comfortable in safe places. Most of us, I would guess. Which is why I am so grateful to have Hugh, whose encouragement in sincerely wanting me to do work that makes me happy, is what pushed me to give my notice. Some days I feel SO GOOD about this, but there are moments I panic and cry. I'm relieved but scared all at the same time. My emotions are incredibly confused and excited, motivated and stone cold frightened within the course of a day. My plan is to be a renaissance woman; pursuing a number of small projects until I find a rhythm that works. 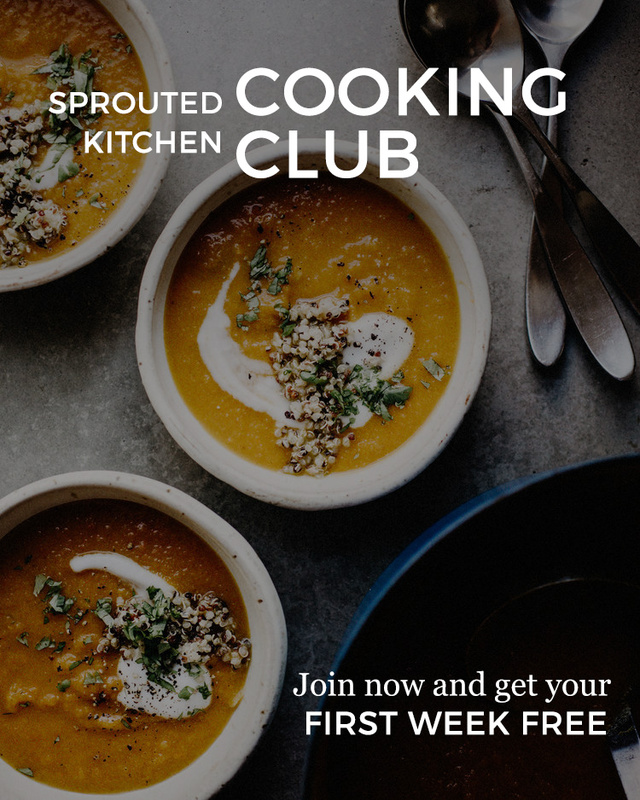 I intend to expand my dinner delivery business, cook for small dinner parties, teach cooking classes, maybe get certified to teach pilates, start a cookbook, work at the local farm a few days a week and sell advertising on this lovely site, so I can spend more time here. I didn't want to keep waiting to be doing things I wanted to do. I wasn't sure what exactly I was waiting for, as there is resounding advice I get from older folk, "there will never be enough money for a house, for kids, for vacations... but you just do it". So thank you to Hugh, for pushing me and believing I have more potential than I think I do, and to my family and close friends who affirm that this is a promising decision. So until I panic and cry again, let's eat squash boats. 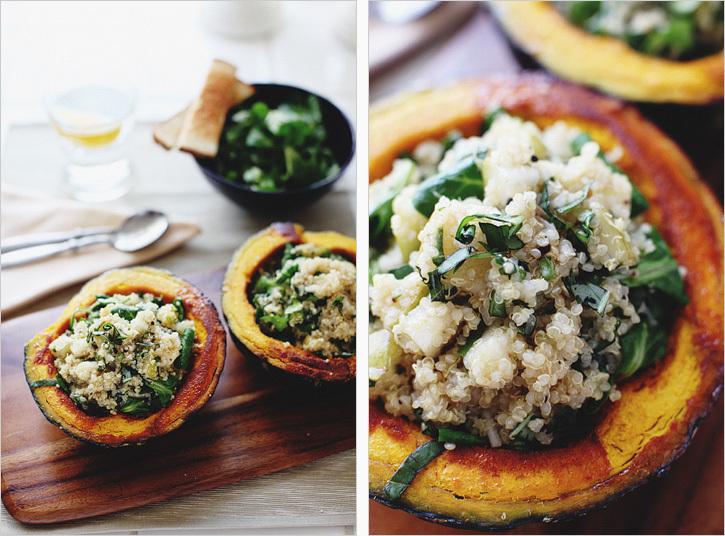 You could use any squash, they would just hold different amounts of quinoa filling. I think it would be a great side in acorn squash. You could serve this with a protein, or make it a meal of it's own by mixing your protein of choice into the quinoa. I think it would be nice with a little parmesan cheese to top it off as well. 1. Cut squash in half and seed it. 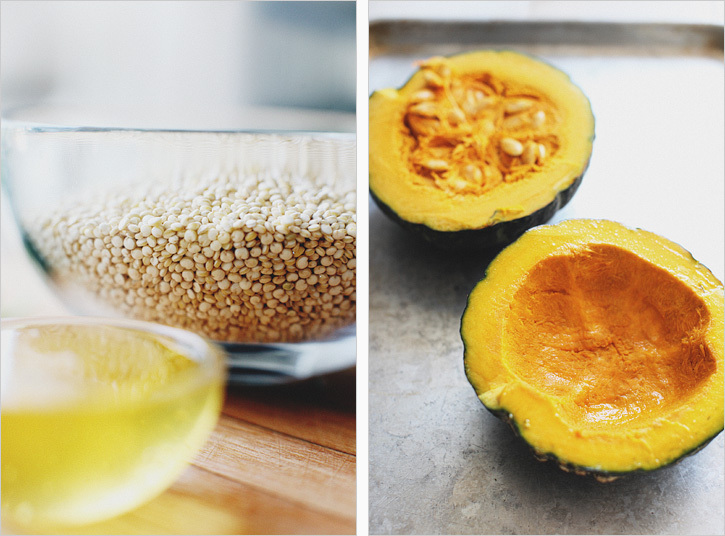 Mix the maple and olive oil and rub generously onto the flesh of the squash. Roast cut side down, for about 20 minutes. Turn the squash cut side up and cook about another 15 - 20 minutes 'til finishes cooking and caramelizes on top. The cooking time will depend on the size and type of squash you use, continue to test it with a fork. It should be the firmness of a baked potato. 2. 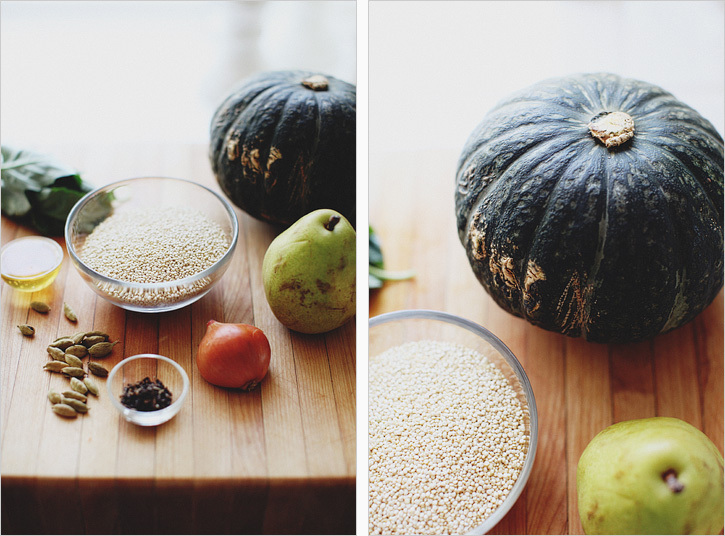 While squash is cooking, prepare the quinoa. Bring 1 1/2 cups water to a boil and add the quinoa, cover and simmer for about 10 minutes until the liquid is absorbed. Remove and transfer to a mixing bowl. Add the shallot, lemon juice, cardamom, olive oil, and stir. Allow to cool down about 8 minutes, add the basil, pear and greens to combine **Don't add them when the quinoa is pipping hot, otherwise it will wilt them into a brown mess. 3. Remove the squash boats and let them sit about 5 minutes to cool down. 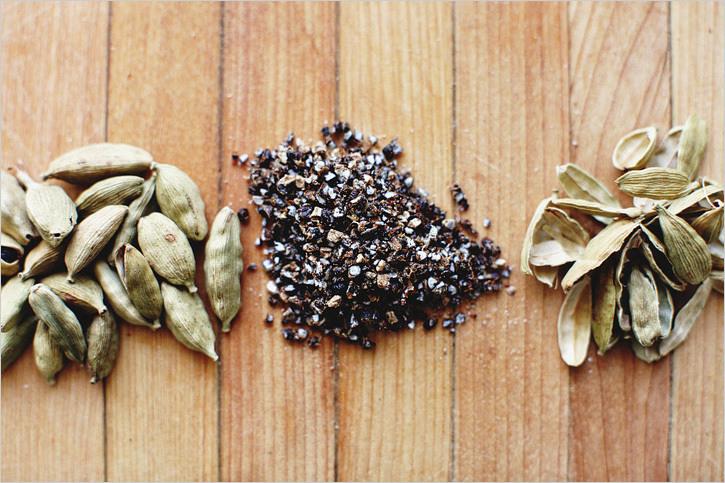 Fill each cavern with desired amount of quinoa mix. Sprinkle the top with fresh ground pepper and serve.